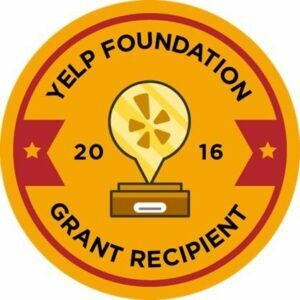 South Baltimore Learning Center is a proud recipient of a $5,000 grant from the Yelp Foundation! This grant will help us continue to continue our mission of improving the self-sufficiency of educationally disadvantaged adults in the Baltimore area! Read more below in the article from CityBizList! BALTIMORE– South Baltimore Learning Center (SBLC) has received a $5,000 grant from the Yelp Foundation, having been nominated and voted in by community members in the Yelp Foundation Gives Local grant contest. “Yelp Baltimore has been a proud supporter of SBLC for years, but having the Yelp Foundation invest thousands of dollars in this way into an organization we know does so much good for our friends and neighbors here in Baltimore, just warms the heart,” said Elsa Kuti, Yelp Baltimore’s senior community director. Of many nonprofits considered for recognition, only three in the Baltimore area were nominated to participate in the contest, which awarded $10,000 total to local nonprofits. SBLC was the first place winner. “The Yelp Foundation’s support for SBLC’s adult literacy efforts means that more adults in Baltimore will have the opportunity to begin their journey toward achieving their Maryland High School Diplomas,” said SBLC Executive Director Annmarie Westerfield. The Yelp Foundation’s mission is to support charitable organizations and activities addressing the needs of local communities, including access to information, education, local economic development and freedom of expression, and to promote a culture of philanthropy among employees of Yelp Inc. For more information, visit YelpFoundation.org. The Gives Local grant contest encouraged community members in 75 U.S. cities to vote for the organizations they wanted to support with grants and drew more than 160,000 votes. Each winning nonprofit aligns with an area of the Yelp Foundation’s mission to address the needs of local communities including: access to information, education, local economic development and freedom of expression. The contest awarded $750,000 total in grants. (Click here for a full list of grant winners).